Jaden's Catering Providing Quality catering in Pittsburgh and surrounding areas. Quality Catering in Pittsburgh and surrounding areas. Our goal is to make your event successful and enjoyable for you and your guests. To ensure customer satisfaction, we will provide the highest quality service with our carefully selected products and with our efficient staff members. We value any catering event at any time for any occasion. With over 25 years of catering experience in the Pittsburgh area, we pride ourselves in our customer service and our reputation of our quality products. We can provide you with a full line of breakfast, lunch, or dinner items. You can choose from our pre-made menus or you can customize your own menu. Other services available: wait staff, chef, linen, china, food stations, and more! We deliver to the entire Pittsburgh and surrounding areas including; Cranberry, Wexford, Greensburg, Carnegie, North Hills, South Hills, Indiana, State College, and more. Looking for a Pittsburgh Caterer…We will deliver to you! 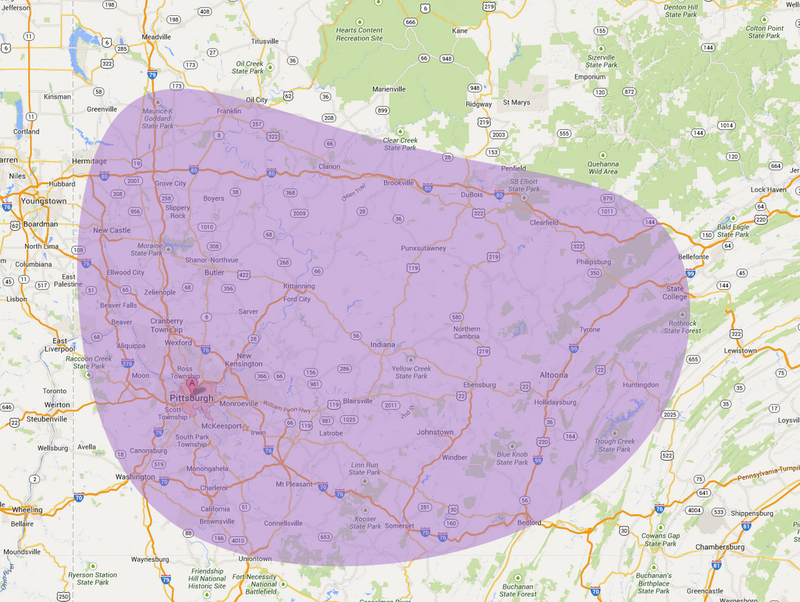 We cover a large territory that covers all of Pittsburgh and surrounding areas. Our fleet of vehicles allow us to cater events and parties to multiple locations. So no matter the type of event; a business seminar in Grove City, a wedding in Cranberry, or an event in Robinson, we will deliver the food to your function! 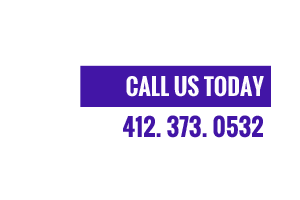 Give us a call today to discuss your upcoming event and we will be happy to provide you with an exceptional experience. Map of the Greater Pittsburgh area that we service. “We have been having our student teachers receptions at Jaden’s for the last 6 semesters. The food has always been wonderful, delicious and very reasonable. We use the upstairs banquet hall and it is always decorated with centerpieces on every table and it is very clean. (The restrooms are also very clean!.) And the service is the best!! We average 55-80 people in attendance (student teachers, mentor teachers, supervisors, an invited speaker, and guests from University Park). There is always plenty of food and everyone is served in a timely manner. They even have a CD player with speakers in the dining room, so that we can play the “Penn State alma mater and other PSU music” before dinner. This is the only review that I have ever written for any restaurant, but I feel that everyone should know about the great job that Jaden’s does. If you are planning an event where you need the use of a banquet hall, do not hesitate to contact Jaden’s!” –Bill, State College, Pa.
“I used Jaden’s Catering in Monroeville for a few events that I have hosted in the Greater Pittsburgh area. Their food was great, and their hospitality was second to none. They provide a quality experience and high level of professionalism. The staff members are friendly and always take care of me.” – Nick, Pittsburgh, Pa.
“Great for a Bridal Shower – My bridal shower was held at Jaden’s catering in July 2011. We had a medium sized group of women who raved to myself and my mother about how wonderful Jaden’s was. It was a blistering hot day but that was soon forgotten inside where it was nice and cool. The food was delicious, all at the right temperature (hot foods were hot, cold foods were cold) there was more than enough to drink. All in all the atmosphere was very welcoming and everybody felt well taken care of. I would definitely recommend Jaden’s to anyone living in the Pittsburgh area.” – Megan, Pittsburgh, Pa.
“I have used and would recommend using Jaden’s Catering for any occasion,event,etc that you or your company would be planning. Their food is excellent and delicious and their staff is very courteous. I personally have used Jaden’s for tailgating, home parties, and for their special occasion dinners. Thanksgiving has been wonderful these past 8 years because of Jaden’s Catering. My friends have also joined in on this special occasion as well. Also my company has used the banquet hall for dinners. Just want to say “Thank You” for your great service.” – Ken, Pittsburgh, Pa. If you have had a good experience with our catering services, please help us by leaving a review.